My husband and I were having very stressfull times at work and took a very late booking in May to Lorous Beach in Kalamaki. Very pleasently surprised hotel was great 2 minute walk to the beach. Lovely beach and bar/cafe. The town as about 10 minute pleasant walk and a huge varity of restaurants and enertaiement. Would not recoomend for young children as may be bored. Definitely going to book again this year. Went to Louros Beach in 2010 for our Honey moon. The hotel was fantastic. Location was ideal, just 2 min walk to the beach and far enough away from the main street to be peaceful at night. The staff were lovely, while we were there it was also my birthday and we had cards and wine left in the room for both my Birthday and our Honeymoon gift. The hotel was exceptionally clean and the food always very good. The pool is small but more than enough sunbeds around it. The walks along the beach to Laganus were lovely and with the added attraction of the turtles nests on the beach. There was very minimal aircraft noise and as they are restricted to only fly during the day it was never a problem. We have booked to go back Aug 2012 and can't wait. We went to the louros beach in 2004, my partner and our 2 children were at the time 14 and 17. The hotel is lovely, the bar food is good too, people from other hotels came there to eat. I told friends of ours about the hotel and they have been there twice since and are going again next week. It is a long time since we have been back, trying out other destinations, even long haul holidays, but nothing matches up to zante, I fell in love with the island. it is so beautiful. Just back from Louros my husband, granddaughter (2yrs) and I had a great time. The hotel is clean, gardens are superb, the staff are friendly and helpful no complaints at all. The pool bar staff are the best (Kristina and Go-go) these two young ladies spoilt our granddaughter rotten, Neve especially loved the ice creams. Our room was on the ground floor and was spacious and clean, and faced out onto the childrens play area. If there is a downside then it would be the aircraft noise, but after a day that didn't bother us or effect our sleep. Only managed the breakfast once, but Kristina does a great english breakfast round by the pool and the prices are reasonable. We were joined by my daughter, partner and youngest granddaughter (6mth) on the second week, they were staying at the Pelouzo but spent all there time round at Louros as the atmosphere is so friendly and relaxed. Just got back from a week stay on the 18th of July. Lovely hotel which has a gorgeous pool area a cracking good pool bar which serves very good and very reasonable food. 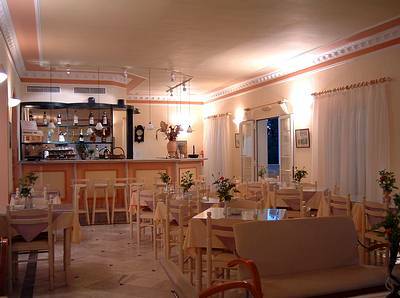 The Hotel itself is kept in very good order and the staff are very helpful. In my opinion there are only a couple of things which spoil it . Firstly - the breakfast. I know its a Continental breakfast but there must be some way of having a variation on a theme . Even a change of Cereal would be nice. Secondly - the proximity of the hotel to the airport. Its all very nice being on the transfer bus for 5 minutes but it can be annoying at times when the planes are landing and taking off and you can nearly shake hands with the pilot !. These things apart I would definately recommend this hotel as it is not only close to the resort centre but is also only 2 minutes away from the beach. stayed here for a week beginning of june 08,staff where very friendly.hotel very clean my only gripe is that the wash room was very small no room to move.entertainment was crap especialy the bingo nite.nice pint of lowenbrau in pool bar. WE HAVE BEEN GOING TO THE LOUROS BEACH HOTEL SINCE 1992.WE HAVE ACTUALLY BECOME FRIENDS WITH THE OWNER NIKOS AND THE REST OF THE STAFF WHO ARE ACTUALLY YOUNGER MEMBERS OF HIS FAMILY.ANYBODY WHO GIVES THIS HOTEL ANYTHING LESS THAN 11 OUT OF 10 NEEDS THEIR HEAD LOOKING AT IT IS BRILLIANT AND TYPICALLY GREEK.LOVELY GARDENS SUPERB ATMOSPHERE AND BEAUTIFULLY DECORATED INDOOR AND OUT.THE HEALTH SPA IS WHERE I WANT RETIRE TO IN A FEW YEARS TIME. Stayed at this hotel between the 03rd July through to the 10th July 2007. 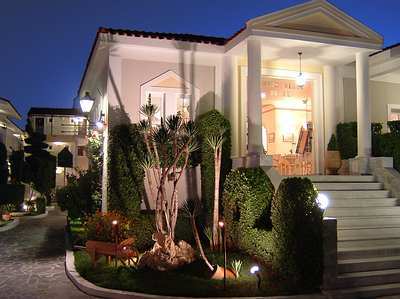 I spent a lot of time researching hotels in Kalamaki and felt that this hotel would suit our needs perfectly. 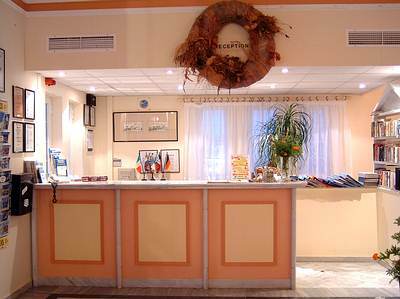 We wanted a hotel that was close to the beach, in a quiet area away from the bars but close enough to walk to when wanted and also have a lovely pool area and clean and well kept accommadation. Well I can say that the Louros beach not only lived up to these requirements but excelled them in nearly all areas. The moment we stepped out of the taxi the hotel looked fantastic, the pool was gleaming away with the bridge across the pool, the bar was lively but not too noisey, and the welcome from Katrina was excellant as she showed us to our room. what a great start!! During the following week, we were in heaven, our room was basic but very clean and functional. I would recommned paying the extra for the AC - needed at night and only 35 euros for the week. If security minded like us well worth paying for the safe in the room as well. Our towels and bedding were made up and I think changed almost every day, which was great. The beach is only a short 3 minute walk from the hotel and the main Kalamaki strip on around 10 to 15 minutes away. At the end of our holiday we was pleasently surprised to find that as we were not leaving till 7.00 pm (and we had to check out of our room at 10.00 am), the hotel has a secret area to securely store our luggage, whilst we continued to enjoy our last day on Zante. Then when we returned this secret area also had showers and toilets, so that we could freshen up for our journey home to UK. I would recommend this hotel to anyone who wants a quiet, relaxing holiday away from the clubs and bars but not too far to enjoy these sights when wanted. Just returned from a week at the Louros Beach. First impressions were excellent, very clean with friendly staff and a very good bar!! Close to the beach and within easy walking distance to the main restaurants and lively areas (if you want it). The planes can wake you up (between 6am and 10pm) but not a problem as the traffic volumes are not excessive at this time of year. We ate at a number of different restaurants (Hera, Michaelo's - a 5Euro taxi ride and a pleasant stroll back, Zanadoh, Olive Tree and Zepo's). Michaelo's definitely represents good value for money and we enjoyed the food at Zepo's. We had a late departure and the hotel provided storage for cases. They also provided towels so that we could spend time on the beach and clean up prior to leaving for England. We stayed 7 days but met one couple that have been visiting twice a year for 15 years!! I can understand why. Weather was excellent. Don't let the planes put you off. Louros beach was very disappointing! Don't get me wrong beautiful hotel! But if your 18 i would advise you not to go! Everyone else got there room cleaned, fresh towels and bedding everyday where as we didnt! Would go back to Kalamaki but would defo stay elsewhere!!! Wife Joan and I just back yesterday from our second visit to the Louros.Everything about the hotel superb - if you don't like this you are hard to please! Have just booked our holiday to this hotel with Thompsons, having at a small cost altered from going to Turkey. Would indeed welcome some up to date comments. Took a 2 week holiday last year in Rhodes and was overwhelmed by the politeness of the Greek culture and made many friends. If anyone should read this, can you please forward your comments direct to me at christiaan.ja@ntlworld.com, many thanks and happy hols to where ever you go. The hotel was nice and we were on the third floor in a nice big family room.I found it too noisey with the planes tho after a night out.The gardens and pool bar were good but i thought the maid service was bad.Dont know if its coz we were last to get cleaned but the bath and toilet and floors were only washed a few times.I just did them myself but should have complained.Ive been to Kalamaki 3 times in the last two years but wouldnt stay there again.Try for yourself tho coz everyone to their own. There can be a lack of sunbeds but people do seems to come and go. There were six of us and we would always manage to get round the pool in the afternoon. Have a look at my review on Holidays Uncovered (holidays-uncovered.co.uk) for details about the hotel and restaurants in Kalamaki. Just spent a lovely 2 weeks at the Louros with my Fiance, in our opinion its one of the nicest hotels we visited in Kalamaki, extreamly well looked after, the gardens are lovely! very romantic we had room 219 which overlooked the hills & sea, bliss, we return to Zante next year to Marry although we arent staying there again most of are guests will be, we personally dont like BB but in all fairness if you can get up before 9:25am brecfast it is very good, bread cakes tea fruit etc, but we tended to buy breccy at pool bar 2.50 ero for Egg & toast etc fairly priced, We had a fridge in the room be warned they are small! The cleaners cleaned daily and were friendly, Rita on reception is very welcoming, and bar staff are very helpfull to,. The air craft noise well yes it is loud but i thik almost everyone would aree it a novelty! they dont fly at night due to the loggerhead turtles, and most days theres only a few fights, so dont be put off. My only complaint was the sun beds, not enough available and (Please stop leaving your towls on the bed when your not around all day) The beach is so close and theres a lovley breeze to! so we headed there if there were no beds, Would have no hessitation reccomeding The Louros. Just back from Louros hotel, myself, my fiancee and our two children stayed from 31 July to 14 Aug. First visit to Zanta, and Louros, but a wonderfull stay , close to beach, short walk to town, we eat in the Paolo resteraunt every night, as they had a play area for the kids, and the food was second to none!Breakfast at louros was good, cleaners excellant, pool good, although we ended up going to the beach or nipping to next doors pool lol.. as it was bigger, ok people mention the planes, it was a novelty for my children whom are amazed by them, and seeing as theres no night flights, its not a problem,so rooms clean, location great,lizards and tree frogs freindly, pool close, sea close.. weather fantastic, what more could a family ask for.. would reccomend, and would return with out a shadow of a doubt.. Always sad to return from hols.. The Louros Beach is a great hotel - the staff are really helpful, the pool area and gardens are lovely, and the rooms are comfortable and clean. 22/7/2005 : Just back from two weeks in Louros Beach Hotel, the hotel and gardens are superb, I took my daughter away with me as she is about to move away to Newcastle to start her nursing career and it was wonderful to take out some quality time in lovely surroundings, I recommend that you take advantage of car/bike hire, and tour the Island..
Another must is to take a trip from Lagana beach to see the famous loggerhead turtles. Also a greek night which incorporates the sunset over smugglers cove is recommended. 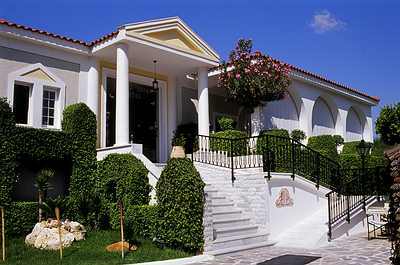 As for the Hotel its self, its like home from home, you are made to feel so welcome, and they cater for all your needs. The rooms are cleaned daily (compliments to the cleaners!!) The breakfast all be it continental is sufficient, all I can say is thank you for making out holiday one to remember!!!!!!! I have stayed at both Louros and Dennys Inn. I would recommend Dennys inn as you are travelling with children. While the pool is lovely at the Louros there is no childrens pool although the Golden Sun which is next door has a childrens pool and we went there quite a few times while we were staying at the Louros. We are trying to decide between 2 hotels, we are a family of 4 adults and 3 children, and our options are Louros Beach Hotel and Dennys hotel, we would really love to hear from people that have stayed in either hotel. We know their locations but are usure how suitable they are with children, the kids are 4, 7 and 10. We eat out a lot but do like lazy daytimes I cannot find information on dennys kids area, they say they have a childrens playground but cant find any pictures? We have booked flights and need to get accom sorted quickly. Thanks in advance. 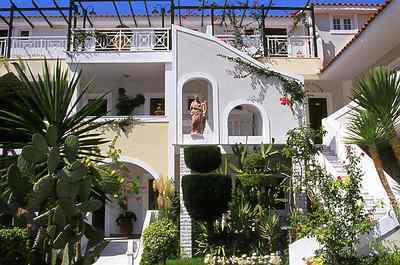 Due to a new arrival in the family I've not been able to go abroad for a few years now however since discovering Louros Beach Hotel in 1997 my husband and I have not stayed anywhere else on Zante and in fact liked it so much that we spent our honeymoon there in 1998. 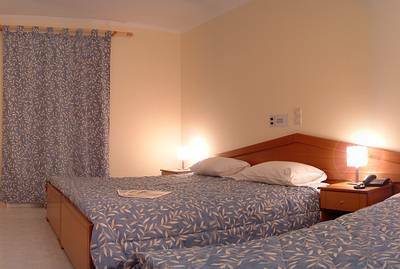 The staff are extremely friendly especially when treated courteously and the rooms are clean and comfortable. We didn't find the aircraft noise a problem at all and discovered loads of great places to eat. Hope to get back there this year!